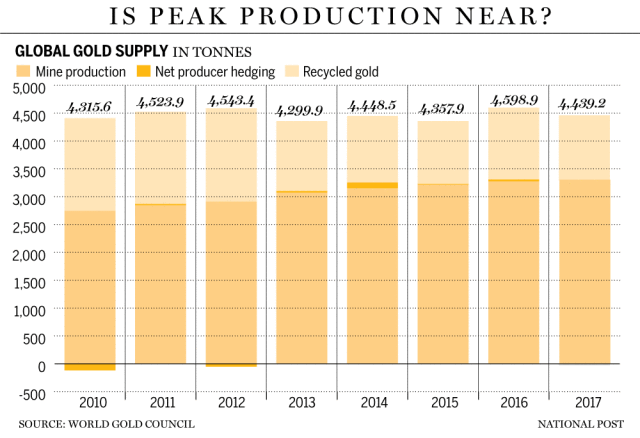 Demand for gold continues to rise, and supply forecasts continue to fall. It’s an interesting take on the current dynamic; what if there simply isn’t much more economically viable gold to be mined? If even an increase in exploration budgets and scope would be insufficient to increase supply?